The departure of Maurizio Sarri to Chelsea was a bitter blow to Napoli fans, however the club had hardly have a hired a more qualified manager as his successor than Carlo Ancelotti. A league winner in Italy, England, France and Germany, trophies have followed the Italian throughout his career. Not only did Napoli lose coach Sarri over the summer, they also lost the real driving force of their side as midfield dynamo Jorginho followed Sarri to Chelsea. Fabián Ruiz has been brought in from Real Betis in an effort to plug the gap in the centre of the park, with the other major purchases of the summer being right winger Simone Verdi and right back Kévin Malcuit. Competition for the forward positions arrives in the shape of young Brazilian Vinícius Morais. Dries Mertens and José Callejón bagged 28 goals between them last season and remain in situ, as do key creative players Marek Hamšik and Lorenzo Insigne. Pepe Reina remains as reliable as ever in goal whilst the club will be pleased to hold onto Kalidou Koulibaly who proved himself one of the top centre halves in Europe last seaspon. One of Maurizio Sarri's real masterstrokes was to switch Mertens into a more central attacking position. 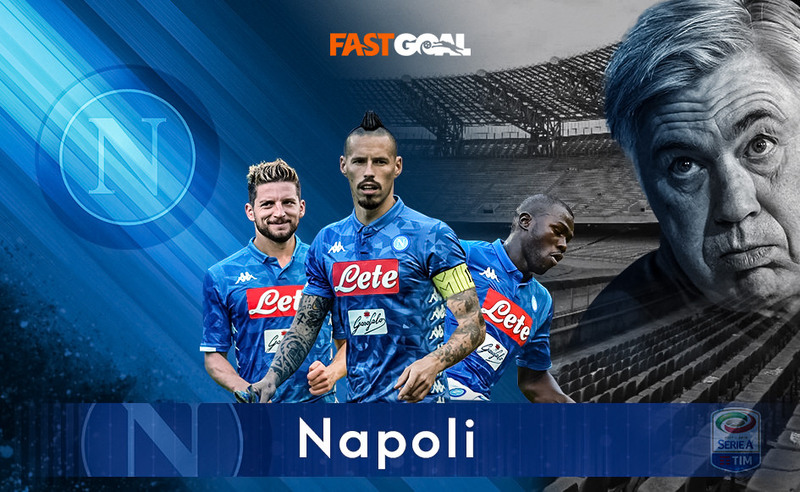 The Belgian's electric pace and superb finishing ability greatly contributed to Napoli's success last season as he weighed in with 18 goals and 6 assists. At 31 years of age he certainly isn't getting any younger but looked as fit and hungry as ever last season. We suspect this may prove to be a difficult season for Napoli. Jorginho was the real glue that held this team together and he looks tough to replace. They will also have to adjust to what will likely be a significantly different system under Ancelotti. All that said though, they do still possess enough quality in their ranks to ensure they qualify for the Champions League.